Owning a house is like owning a car. Regular maintenance allows you to keep on top of repairs instead of ignoring small signs and having to pay a ridiculous amount of money later on when something breaks. Whether you are looking to sell your home, or are just wanting to save money on utilities, here are some easy ways you can repair your house on your own and save yourself money in the process. If your house is drafty, no matter high you turn the heater up, it could be coming from the attic. Before you lay insulation down, use caulk and expanding foam sealant to close all of the air bypasses around any water pipes or wires that come up through the ceiling. For chimneys, use 24 gauge sheet metal between the stack and its surrounding framing. To make sure the access panel to your attic isn’t letting in air, surround it with weatherstripping and ensure the door closes tight. 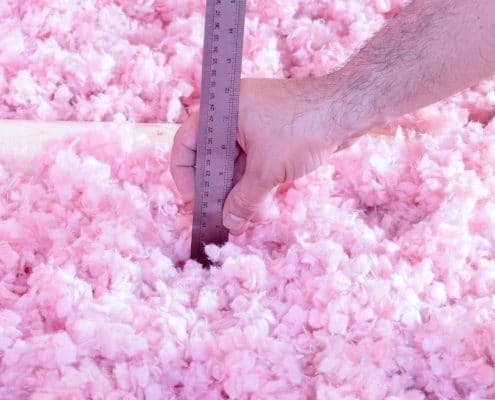 If you don’t cover these first, all of the heat in your home heads straight up through those areas and into the attic, making the insulation less effective. Fill the entire space between each stud, meaning measure and order the proper width of material. If you have wiring coming out in the space between the studs, cut the insulation pads so you can place each piece on either side of the wires, instead of setting them over the top. This process helps prevent fires. If putting insulation in a space with electrical outlets, cut out the square instead of stuffing the batting around the outlet. Leave one inch of space or more between the insulation and sheathing of the roof, from the eaves to the ridge. This step creates the right amount of ventilation to help you avoid moisture problems and mold in the future. Check around the outer doors and windows. If you can feel air coming through, caulk any holes you see. For more significant issues, use insulating foam sealant. Just as with the attic, look at any wiring, vents, or piping that lead out of the house and fill any and all leaks. If in doubt, caulk it anyway. Also, install weatherstripping on the bottom of your doors to keep all of the cold air out while keeping warm air inside. If you don’t have a programmable thermostat, go out and grab one right away. You can choose the specific temperature of your house and set the thermostat to turn on and off at certain times. Doing so allows you to turn the heat down while you’re out of the house, or on before you get home, so you aren’t freezing while waiting for your house to unthaw. You will save a lot of money and hassle. 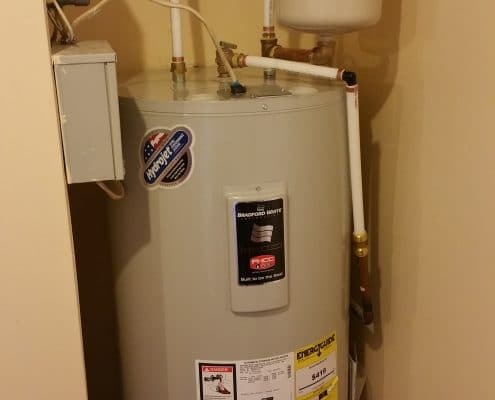 Removing the sediment that accumulates at the bottom of your water heater will keep it running more efficiently. You can do it yourself by following the directions on the side of the heater or hire a handyman to do it for you. After flushing it out, wrap it in an insulating blanket to keep it regulated. The covering only costs around $30 and is worth the money you save on your bill. Your HVAC system filter was built to trap dust and allergens in the air. You should change them every two or three months. Making this a regular process helps save you money because dirty filters make your HVAC work harder, and therefore use more energy. Use your owner’s manual to locate the filter and replace it. Some filters are reusable and can be cleaned with a vacuum and water, as long as you let it dry completely before putting it back. If your faucet even drips a small amount, you’re losing money. According to the USGS Water Science School drip calculator, one faucet dripping twice a minute will waste 69 gallons of water in a year. You can’t afford to pay for 69 gallons of water you never got to use. 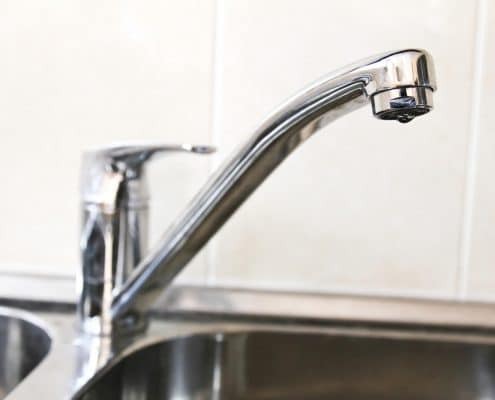 Most leaky faucets need new seat washers, which create seals in between the metal pieces of the faucet and the sink. If mold and moisture get into the tile or drywall of your bathtub or shower, it can cost you thousands of dollars to replace. To keep that from happening, use latex or silicone caulking to fill the seams around fixtures and the tub or shower. Silicone is more challenging to apply than latex, but it’s worth the extra effort because it lasts longer. 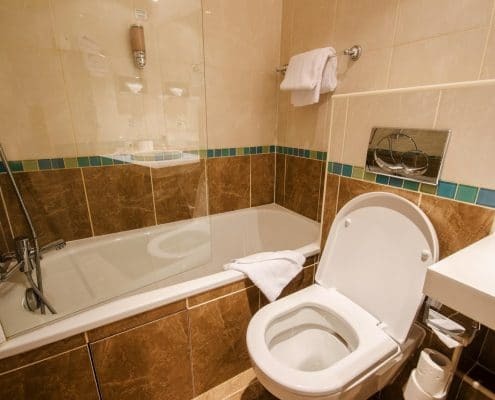 A running toilet is like a leaky sink because it wastes water and runs up your water bill. Usually fixing the toilet is an easy task as long as you purchase the right parts. After observing the mechanism inside the tank of the toilet, you should be able to determine what piece is faulty. Take a picture of it and take it to the hardware store to replace it. Despite being more expensive upfront, energy-efficient light bulbs will save you money later on. They last longer and save more energy than compact fluorescent lights. Even if you are not using your TV, computer, or phone charger, unplug it before you leave for work, or before you go to bed. 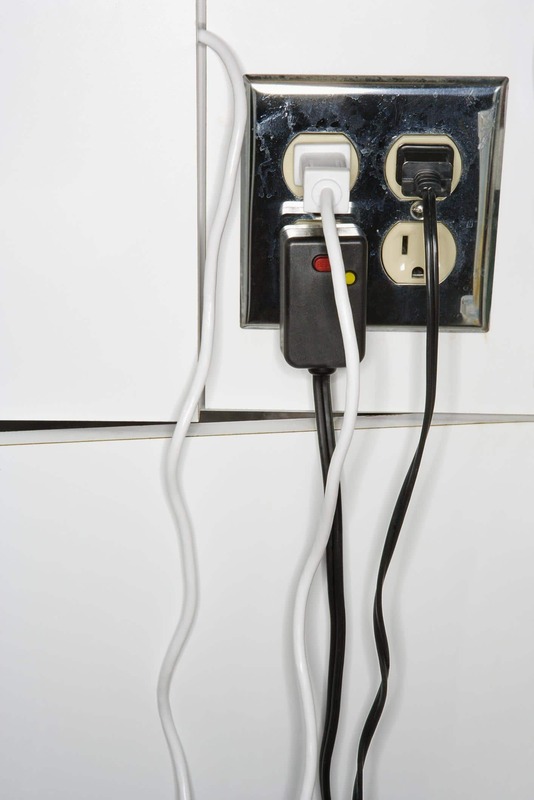 Any cord plugged into an electrical outlet will take energy from that source. Connect everything into a surge protector or an outlet tap that allows you to plug in more than two devices into one outlet. When you can, take the entire outlet tap out of the wall or turn off the surge protector. That will keep electricity from moving into devices that don’t need power. To avoid corrosion in your breakers, flip them every few months to increase their lifespan. This may sound silly, but it does help! With just a few minutes of your time scheduled out, you can save a lot on repairs in your home by doing it yourself. If you are unsure of how to do it yourself, YouTube offers a variety of DIY videos for just about anything you are looking for! Don’t forget- we have a lot of great deals that are local to where you are. We’ve partnered with many businesses that want to give back to our country’s Heroes. Just go on over to our local deals page and start saving. And as always, if you’re looking to sell, refinance, or buy a home our real estate specialists are ready and waiting to save you money in that process.